After a long break CBSE has announced the exam date of next NET/JRF, if you missed your previous exam or unfortunately not qualified than this is a golden opportunity for you, because CBSE is going to conduct the Examination on 19th November 2017. You have more than three months for your preparation, so start your preparation today with UPS Education because we know you can’t afford to miss the opportunity this year. 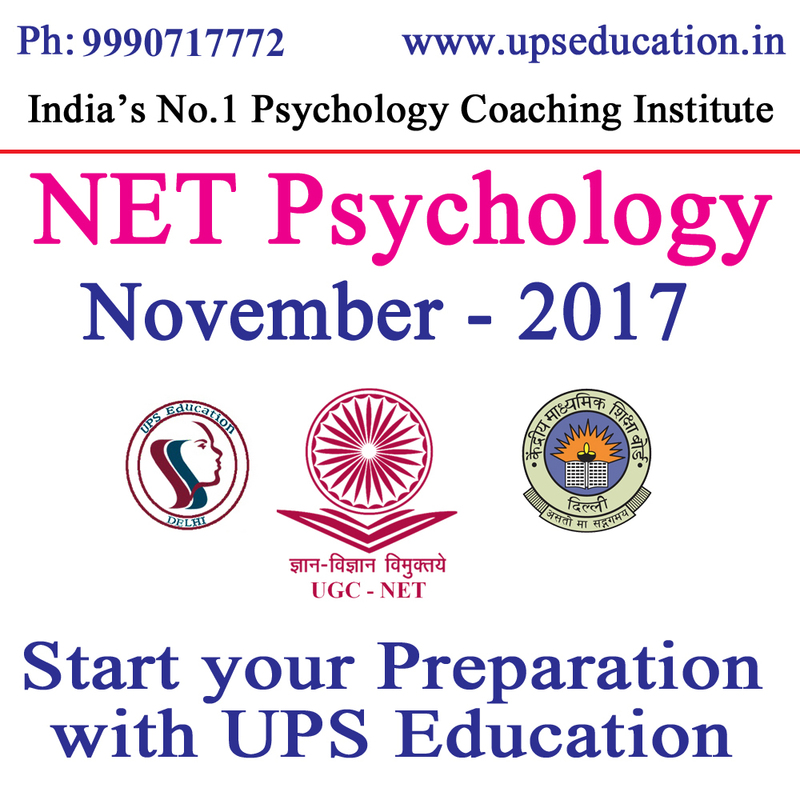 We have regular classes as well as Distance Learning mode coaching for UGC NET Psychology Examinations. 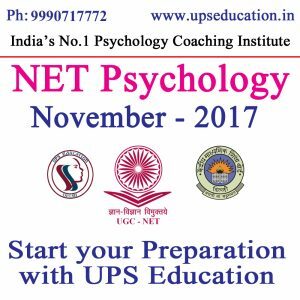 This entry was posted in Best CBSE NET Psychology Best CBSE NET Psychology, Best NET Psychology Coaching, Best NET Psychology Coaching in Delhi, CBSE NET JRF Psychology Coaching, CBSE NET Psychology Coaching, NET JRF Psychology, NET JRF Psychology Coaching, NET Psychology, NET Psychology Coaching, NET Psychology Coaching in Delhi, Tips for NET Psychology Exam, UGC NET Psychology, UGC NET Psychology Coaching on June 14, 2017 by UPS Education.